We've been through deployments before. How can FOCUS help us now? 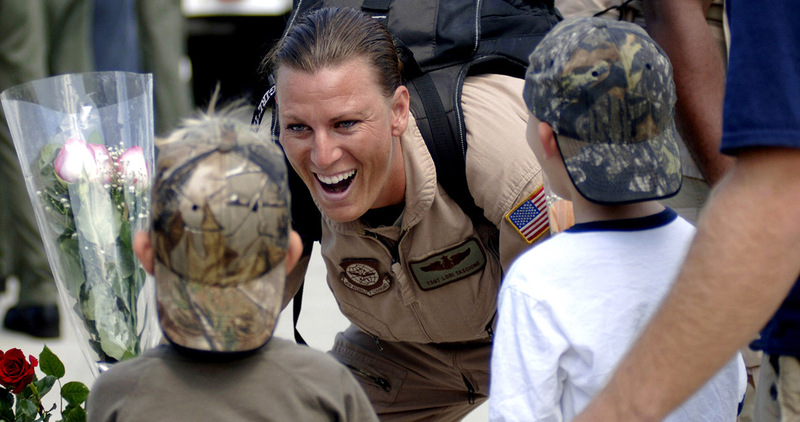 Families have to deal with different challenges that arise with each new deployment. As kids grow older and have a better understanding of some of the risks their parent is facing, they might ask questions that are tougher to answer. Parents may also find their relationship has changed with each new deployment and they need to learn new ways to talk about those changes and reconnect as a couple. Families can develop new skills with each deployment experience and carry those skills into the next deployment. FOCUS provides the training to learn new skills to deal with deployment and reintegration. How can FOCUS help my spouse and children when I'm away? Through FOCUS, families can learn techniques for dealing with stress and worries they have about a service member's safety, how to solve family problems, and how to adjust to new routines during deployment. They'll also learn ways for the service member to stay connected with their family and remain involved as a parent while they are away. How can FOCUS help us come together as a family when I return? FOCUS can teach families how to talk about different concerns and feelings they have before, during and after deployment. Better communication prevents misunderstandings or conflicts and helps everyone get back to normal routines or come up with new ones, if needed. When I'm leaving for or returning from deployment, everything is pretty hectic – how can FOCUS help make those times less stressful for our family? 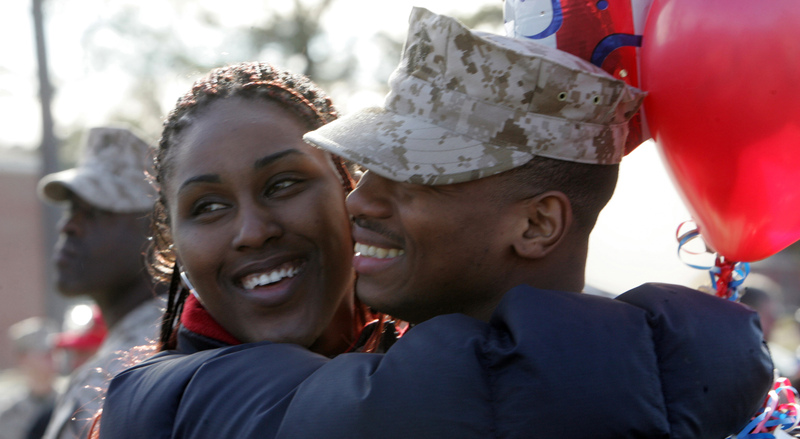 FOCUS can help families anticipate issues that might be most stressful when a service member is leaving for or returning from deployment and make plans to reduce that stress. For example, FOCUS teaches families to set and achieve realistic goals, like having a strategy for assigning new responsibilities when a parent is deployed. I think I have a pretty good idea of how my children feel about my deployments – how can FOCUS help me understand and prepare them better? Sometimes children have a hard time telling their parents about their worries because they don't want to cause their parents even more stress or because they think they're not being strong enough. FOCUS teaches kids how to talk to their parents about some of these concerns, and shows parents helpful ways to respond to their children's concerns. If kids have a way to discuss their fears, they may be less likely to have problems at home or in school. Families have to deal with different challenges that arise with each new deployment. As kids grow older and have a better understanding of some of the risks their parent is facing, they might ask questions that are tougher to answer. Parents may also find their relationship has changed with each new deployment and they need to learn new ways to talk about those changes and to reconnect as a couple. Families can develop new skills with each deployment experience and carry those skills into the next deployment. FOCUS provides the training to learn new skills to deal with deployment and reintegration. How can FOCUS help our children when my husband/wife is deployed? FOCUS teaches kids techniques for dealing with their concerns while their mom or dad is deployed, including relaxation skills and ways to deal with their emotions so they can function better at home and in school. I feel like I have so many different responsibilities to juggle when my husband/wife is deployed – how can FOCUS help me be the best parent I can be while my spouse is away? FOCUS teaches parents who remain at home how to work with their kids to solve family problems, set and achieve family goals in small, realistic steps. Parents also learn how to talk to their kids about any concerns they have about their other parent being deployed and how to take care of themselves so they can remain strong for their families. My children have been having a hard time since my husband/wife returned – is there anything FOCUS does to help with this process? Even though kids are usually very excited when their mom or dad returns from deployment, they can sometimes also have a hard time. FOCUS helps parents understand why their kids might have difficulty with this adjustment, suggest ways to talk to their kids about this change, and recommend activities to help with the reunion. My husband/wife seems different since he/she returned—how can FOCUS help us come together as a family to support and understand each other more effectively? Service Members returning from deployment might find it tough to adjust to being home again. They may be dealing with the effects of combat operational stress and/or physical injuries, and may find it difficult to talk with their family members about their deployment experiences. It may be challenging to feel part of the family again after being gone for so long and missing out on many important family events. FOCUS teaches families how to talk about deployment experiences, suggests activities that can help parents and kids reconnect, and help families develop a plan to support service members dealing with combat stress or injuries. Receive helpful tips for tackling common challenges, learn about innovative resources for military families and couples, and get simple suggestions for fun kids activities, with our quarterly newsletter.